My husband found this for me at the library. I almost didn’t read it, once I realized that it was written by an athlete: that would have been a mistake. It was an enjoyable book, one that flies by because it’s so much fun. This book is, as the title suggests, about Mycroft, Sherlock’s older brother. In fact, Sherlock appears in this book for less than five pages. I really liked that. Mycroft was written as a slightly less analytical, but more emotional genius and wasn’t overshadowed by the more well-known Sherlock. 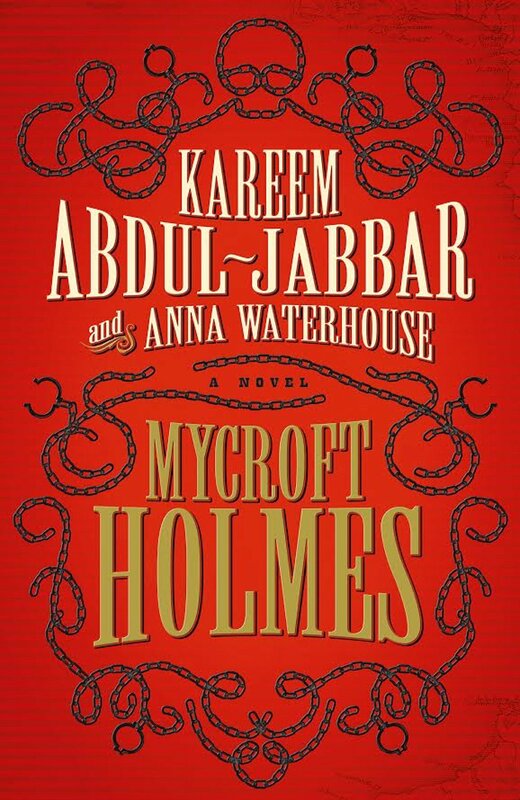 In this book, Mycroft stumbles across a series of murders that seem to involve his fiance in some way. He travels to Trinidad with his best friend, Douglas, in an attempt to track her down and get to the bottom of things. I loved Douglas. He was wise and long-suffering, without in any way being a Watson rip-off. In fact, this whole book walked the fine line between being an homage and being a copy with ease. It was a wholly original book. My biggest complaint about it is that it rapidly switched from being a mystery to being an adventure novel. If I had gone into it knowing that it wasn’t going to be a mystery, I would have liked it more. Now that I have a better idea what to expect, I’m happily planning on reading the sequel, Mycroft and Sherlock. The historical aspects of the book were well researched, the descriptions of the various places were vivid, and the story was fun. It was a fun addition to the Sherlock Holmes pastiche. I did a full-on double take when I saw the author. Rarely do I associate NBA players with Sherlock Holmes! This sounds intriguing! Ooh that’s an interesting direction to take this mystery. I know some readers who might also enjoy this.